Lock in a great price for Piñata PV Gay Hotel - rated 9.8 by recent guests. I loved everything about this hotel. I personally work in the luxury industry and I give this hotel 7 stars starting from the signature service to the beautiful room, pool and the great location. I also would like to mention the amazing care and attention that we received from the owners Ronnie and David, what a great hosts, they made our vacation more enjoyable. We would highly recommend this hotel to everyone. Extremely welcoming staff throughout my stay and nothing was too much for them. Their attention to detail is spectacular and they truly make you feel like you're at a home away from home. Thank you! Really friendly well run and clean. I'd go back again. The owners are very pleasant men who are interested in helping with your interests. If I had to be helped in some way they met my needs such as assisting me get my boarding passes to fly back. Wonderful staff. I am not into wild and this is a tranquil hotel. The owners are very nice and accommodating. The place was clean and excellent location. I've worked in luxury hotels for my entire life and can't say enough about how well run this place is. David the host seems to always appear just when needed and was the nicest guy ever. The rooms are beautiful and there are so many thoughtful touches all over the property. His staff are also fantastic. Their attention to detail with regards to housekeeping is amazing. I will be back and cannot commend them enough for the entire operation for start to finish! It's a GEM! Impressionnant a tout point de vue !!! Accueil chaleureux et sensible a notre bien etre tout au cours de notre séjour !!! Félicitation pour le professionnalisme déployé par tous les hotes !!! Los dueños fueron súper agradables. El hotel es precioso y la atención muy muy buena :) Ya tengo ganas de regresar! Featuring free WiFi and a Pool & Hot Tub open 24 hrs, Piñata PV Hotel offers accommodation in Puerto Vallarta. The guest house has year-round outdoor pool and terrace. Every room has Air conditions and a flat-screen TV. The rooms have a private bathroom. There is concierge service at the property. The property is located 550 yards from Los Muertos Beach, in the gay neighborhood where you can find a variety of gay bars and night clubs two blocks away. The nearest airport is Lic. Gustavo Diaz Ordaz Airport, 5.6 miles from Piñata PV Gay Hotel. 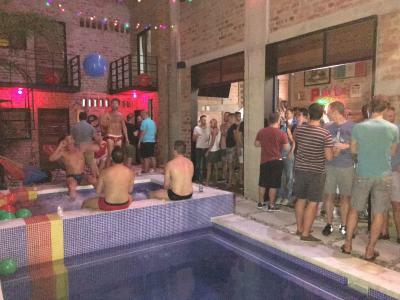 Piñata PV Gay Hotel has been welcoming Booking.com guests since 4 Jul 2015. 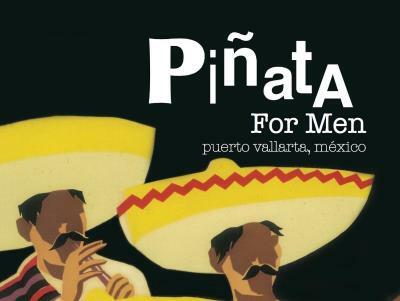 When would you like to stay at Piñata PV Gay Hotel? House rules Piñata PV Gay Hotel takes special requests - add in the next step! Piñata PV Gay Hotel accepts these cards and reserves the right to temporarily hold an amount prior to arrival. Please note that the damage deposit must be paid via PayPal too. Please note that a Damage Deposit of 300 USD must be paid upon arrival and will be refunded at the end of your stay. Please inform Piñata PV Gay Hotel in advance of your expected arrival time. You can use the Special Requests box when booking, or contact the property directly with the contact details provided in your confirmation. Needs a center of socializing ie a Bar. Nothing at all! Every thing was just perfect. Weak water pressure in shower. I really can't think of a thing. I had a perfect stay! Only shortcoming was our room was at the back of the property and was adjacent to another property that played loud music all night. Staff was great. Bed was comfortable. Complimentary water and a few drinks provided. Very friendly! missed the party on the Saturday as I arrived too late. This hotel is wonderful but for older gents stairs may be too much too handle. A cup of coffee in the lobby in the am would be a nice touch instead of having to leave property. Great staff, in a safe location close to all of the PV gay bars. Ronnie and David are excellent hosts and always had recommendations or advice on everything to see and do in PV! The property is beautiful and the rooms were very clean. We will definitely stay here again on our next trip to PV.